Eastern Bhutan tour is one of the least tours to explore the eastern regions of Bhutan and offers one of most authentic experiences for adventure tourists. 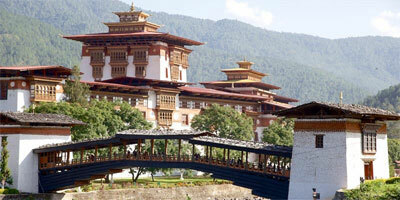 Get the ultimate taste of Bhutan on this tour. Explore Paro and Thimphu in the west, visiting museums, temples, and dzongs and tour Bumthang, in central Bhutan, home too many prominent monasteries. Then drive along the exhilarating route to remote eastern Bhutan, known for its unique textiles. The first thing you will notice as you disembark is the transparent purity of air and the absence of noise. The Paro valley has kept its bucolic nature inspite of the airport and the existence of development projects. Fields, brown or green depending on the season, cover most of the valley floor, while hamlets and isolated farms dot the countryside. The houses of Paro valley are considered to be among the most beautiful in the country. Paro is believed to be one of the first valleys to have received the imprint of Buddhism. Check into Hotel. Afternoon: Visit the National Museum (Ta-Dzong). Once the watchtower for the Rinpung Dzong, it was converted into the National Museum in 1968. The museum stands on a promontory overlooking the Paro valley in all its glory. Morning: Drive to Drugyal Dzong (a ruined fortress - 16 km away from Paro town). The Dzong, although in ruins, holds great historical significance. 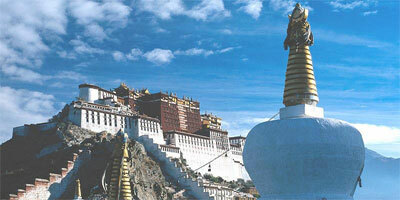 It was from this fortress that the Bhutanese repelled many Tibetan invasions. The name means the victorious Bhutanese. This spot offers a magnificent vista of Mount Chomolhari, "Mountain of Goddess" (7329 m).Visit a typical Bhutanese farmhouse on the way back. A short distance south of the road is Kyichu Lhakhang. This temple is said to have been built in 659 by King Songtsen Gampo of Tibet. It holds down the left foot of an ogress whose body is so large that it covers Bhutan and most of eastern Tibet. Evening: Tea at the hotel and drive for two hours (65 km) to reach the capital city of Thimphu. Overnight: in Thimphu. Morning: Visit the Memorial Chorten, a huge stupa built in memory of the third King who reigned from 1952-1972. Visit the National Library where ancient manuscripts are preserved. Visit the Painting School where traditional art is still preserved. Artists are taught to paint Thankas here (sacred Buddhist scroll). 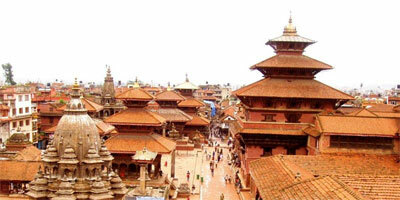 Visit the Handicrafts Emporium where one can buy Bhutanese textiles and other arts and crafts. Visit the Weekend market where vendors from throughout the region arrive on Friday afternoon and remain till Sunday. 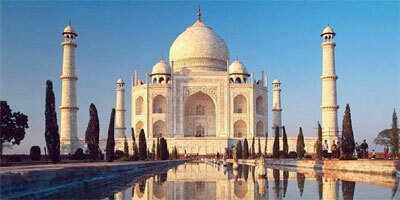 Here you will find indigenous goods, handicrafts, locally produced goods, etc. Afternoon: Visit Semtokha Dzong. This is the oldest fortress in Bhutan, built in 1629 A.D. by Shabdrung Ngawang Namgyal. It also houses the largest monastic schools in the country. Visit Tashichho Dzong - the main secretariat building. It is from here that the King and other prominent civil servants run the country. The Head Abbot and the central monastic body also reside here during the summer. Visit Pangri Zampa Monastery, situated just beyond Dechencholing Palace (5 km. from Thimphu). This temple was the first residence of Shabdrung Ngawang Namgyal when he arrived in Bhutan in 1616 A.D. Ngawang Chogyel, the great ancestor of the Shahdrung, built it during the first quarter of the 16th century. After breakfast transfer to Punakha/Wangdue. En-route stop at Dochula Pass (3150 m), 30 km from Thimphu, for tea and biscuits and enjoy a view of the Eastern Himalayan Mountains. From Dochula to Wangdue, it's another two hours drive. Wangdue Phodrang Dzong is perched on a spur at the confluence of 02 rivers. The position of the Dzong is remarkable as it completely covers the spur and commands an impressive view over both the north-south and east-west roads. The main road climbs the length of the spur and on the left, across the river, comes the first glimpse of the picturesque village of Rinchengang whose inhabitants are celebrated stonemasons. After lunch in Lobesa, visit the Punakha Dzong. This is the winter residence of Bhutan's spiritual leader, the Head Abbot, and the Central Monastic Body. The Dzong is built between two rivers known as "Phochu" (Male River) and "Mochu" (Female River). On the way back to Wangdue Phodrang stop at Metshina. On a hillock in the center of the valley below Metshina is Chimi Lhakhang (Fertility Monastery), built by lama Drukpa Kunley in 1499. He subdued the demoness of the Dochu la with his 'magic thunderbolt of wisdom.' A wooden effigy of the Lamas thunderbolt is preserved in the Lhakhang, and childless women go to the temple to receive a wang (blessing) from the saint. Trongsa means 'the new village.' and the founding of Trongsa first dates from the 16th century, which is indeed relatively recent for Bhutan. It was the Drukpa lama, Ngagi Wangchuk (1517-54), the great grandfather of Shabdrung Nawang Namgyel, who founded the first temple at Trongsa in 1543. The landscape around Trongsa is spectacular, and for miles on the end the Dzong seems to tease you so that you wonder if you will ever reach Trongsa. The view extends for many kilometers and in the former times, nothing could escape the vigilance of its watchmen. Trongsa is separated from both the east and the west by mountain passes. The town had a large influx of immigrants from Tibet in the late 1950's and early 1960's and Bhutanese of Tibetan descent run most shops here. The Tibetans are so well assimilated into Bhutanese society that there is almost no indication of Tibetan flavour in the town. Morning: Visit the Trongsa Dzong and the Watch Tower. The Trongsa Dzong was the ancestral home of the ruling dynasty. It is also the district administration office of the Trongsa district. It was built in 1648 A.D. The landscape around Trongsa is spectacular, and for miles on end the Dzong seems to tease you so that you wonder if you will ever reach it. Backing on to the mountain and built on several levels, the Dzong fits narrowly on a spur that sticks out into the gorge of the Mangde River and overlooks the routes south and west. The view from the Dzong extends for many kilometers and in former times nothing could escape the vigilance of its watchmen. Furthermore, the Dzong is built in such a way that in the old days, no matter what direction a traveler came from, he was obliged to pass by the Dzong. This helped to augment its importance as it thus had complete control over all east-west traffic. Visit the Ta-Dzong, an ancient Watch Tower of the Trongsa Dzong is located on top of a steep hill about 1 km beyond the Trongsa Dzong. The watchtower displays many interesting armors used by the Bhutanese soldiers during the olden days. The Bumthang region encompasses four major valleys: Choskhor, Tang, Ura and Chhume. The Dzongs and the most important temples are in the large Choskhor valley, commonly referred to as Bumthang valley. There are two versions of the origin of the name Bumthang. The valley is supposed to be shaped like a Bumpa, a vessel that contains holy water, and Thang meaning 'field' or 'flat place.' The religious connotation of the name aptly applies to the sacred character of the region. The less respectful translation relates to the particularly beautiful women who live here - bum means girl.It would be difficult to find so many important temples and monasteries in such a small area anywhere else in Bhutan. Morning: Jakar Dzong is in a picturesque location overlooking the Choskhor Valley. The current structure was built in 1667 and is said to be the largest Dzong in Bhutan, with a circumference of more than 1500 m. Its official name is Yuelay Namgyal Dzong, in honour of the victory over the troops of Tibetan ruler Phuntsho Namgyal. The extensive palace of Wangdichholing was built in 1857 on the site of the battle camp of the Penlop of Trongsa, Jigme Namgyal. It was the first palace that was not designed as a fortress. Wangdichholing was the early home of the third king, who moved the court to Punakha in 1952. Kurjey Lhakhang is named after the body print of Guru Rinpoche, which is preserved in a cave inside the oldest of the three buildings that make up the temple complex. The first temple is the oldest and was built in 1652 by Mingyur Tenpa, when he was Penlop of Trongsa. The second temple was built by Ugyen Wangchuk, the first king of Bhutan in 1900 when he was still Penlop of Trongsa. The third building in the complex is an elaborate three-storey lhakhang built by Ashi Kesang Wangchuk, in 1984 under the guidance of Diglo Khyentse Rimpoche. Tamshing Goemba (also known as Tamsing lhendup Tsholing, literally 'temple of the good message') was established in 1501 by Pema Lingpa and is the most important Nyingmapa Goemba in the kingdom. Pema Lingpa built the structure himself, with the help of Khandroms (female celestial beings) who made many of his statues. A short distance below Tamsing is a small rural-looking town Konchogsum Lhakhang - the source of many interesting stories. The history of this temple dates back to the 6th century, however the current structure dates from 15th century, when Pema Lingpa restored it. The small statues of the 3 Buddhas (past, present & future) in the sanctuary are said to have flown straight from Khaine Lhakhang in Kurtoe. Hence the name of this Lhakhang is Konchogsum - Konchog (divine being), sum (three). 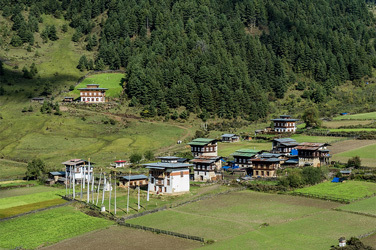 Southeast of Jakar 48 km, URA is the highest of Bumthang Valleys and is believed by some to have been the home of the earliest inhabitants of Bhutan. The road crosses the bridge to the east of jakar, and then travels south along the east bank of the Bumthang Chhu. It climbs and winds around a ridge and heads east past the National Breeding Center. Pass the turn off to Tang valley and Membartsho and cross a bridge over the Tang Chhu. The road starts climbing from here past a few small villages and blue pine forests. As the road climbs, you can look back at excellent views up the Choskhor and Chhumey Valleys. Ura is quite a large village. The Lhakhang dominates the town and is reached by turning off the road to Mongar on a short unpaved road that leads off the main road east of the village. There are about 40 closely packed houses along cobblestone streets, giving the town a medieval atmosphere. The Geyden Lhakhang dominates the village.Evening drive back to Bumthang. Overnight: Bumthang. Phobjikha is a glacial valley on the western slopes of the black mountains. The valley is a designated conservation area and borders the Black Mountains National Park. Because of the large flock of black-necked cranes that winters here, it is one of the most important wildlife preserves in the country. In addition to the cranes, there are also muntjacks (barking deer), wild boars, sambars, Himalayan black bears, leopards & black foxes in the valley and surrounding hills. Morning: Your first stop should be at the RSPN (Royal Society for Protection of Nature) its open 7 am - 7 pm Monday to Friday. It has formative displays about the cranes and the valley environment. The center of the valley is wetland and is the winter residence of a flock of 200 - 300 rare and endangered black-necked cranes. Taktsang is the most famous of all Bhutanese monasteries. It is perched on the side of a cliff 900 m above the floor of the Paro valley, where the only sounds are the murmurs of the wind, and water and the chanting of the monks. The name Taktsang means 'Tigers Nest'; the Guru is said to have flown on the back of a tigress to the site of the monastery where he meditated in a cave for three months.